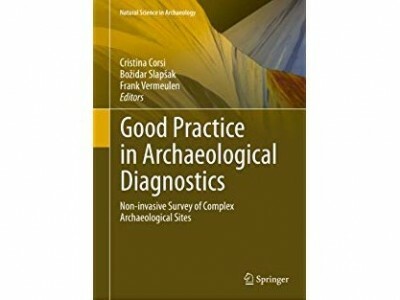 This book represents the results of an EU funded program, Project Radio-Past, to gather different human and technical resources to define and corroborate validity of intensive archaeological survey. Visualization and sites Management, Eric Fouache (The geoarchaeological approach); Hugh Denard, Víctor Manuel López-Menchero Bendicho, Ivana Cerato (Reconstructing past landscapes for virtual museums); Michael Klein, Daniel Pletinckx, Sigrid M. Roode (Best Practices for a Sustainable Management Plan: The Case Study Ammaia in the European Context). The Conclusions are by Simon Keay. In recent years with the development of non-invasive archeological survey techniques, we also saw a spectacular growth in awareness of regulating this research field and finding standards and coherent guidelines. The primary purpose of this book is to create and enhance the possibility of interchanging data both at technical and interpretative level and to start a discussion on the practices of archaeological survey and management of cultural heritage. It also points out that only an integrated survey and a multidisciplinary approach can provide the researcher with data to reliably understand and reconstruct ancient sites and landscapes. The essays included in the book are agree in supporting a modern “total archaeology”, which always makes use of new non-destructive survey techniques, supplementing long-established methods of archaeological exploration and interpretation. In parallel, some reflections can derive from this “holistic” approach, because while enhancing the quality of the results, it raises up the problem of the more complicated interpretation of wide complex data sets. Furthermore, diachronic interpretation is the major challenge, as a relative chronology can be proposed on the basis of non-invasive survey methods, but absolute chronology is still in the hands of traditional excavations. The non-destructive techniques described in this work range from aerial photogrammetric survey to LiDAR, which allows a precise three-dimension mapping, to the most employed geophysics techniques: Earth Resistance, Geomagnetic, Ground Penetrating Radar, today also available in multi-sensor and motorized equipment. In following sections aspects of practical research are showed and discussed, as Visualization and Site Management or Computer aided 3D reconstruction and preservation of virtual reconstructions. Successfulness of non invasive survey techniques, especially clarity of results and relative low-cost of these surveys, allows us to rethink the need for extensive more traditional excavations. The numerous cases of studied exposed show that not all the sites can be studied by geophysical or aerial photography technique. In Faleri Novi the geomagnetic mapping was extremely precise, while in other contexts, like Otriculum, the data obtained with the non-invasive techniques were not so clear, imposing further integrated methods of exploration. Another problem poses by some papers is the reliability of the 3D reconstruction. Even if “The London Charter” and “Seville Principles” state rules and regulation of 3D reconstruction, these virtual reconstructions have great impact on the wider public. Also for this reason, the researchers should be very careful in imagining and reconstructing ancient cities and landscapes, trying to be faithful to the real layouts and physiognomy of the past. The experience presented by the Portus project is a good example to understand the importance of a correct approach for reaching a well-founded 3D reconstruction. The growing amount of data found raises even the problem how store them. In some European countries there are data storage systems funded by public and private subscriptions, as in UK, but in most of other countries this system is not present and data are held in universities or local heritage agencies, imposing a problem of accessibility.